If you’re a KaT regular, you’ll recognize this week’s guest. We’ve hosted her three times and are delighted she’s back today for a spirited discussion about her newest release. 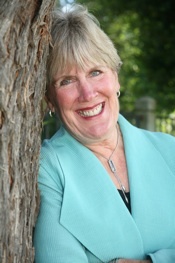 Welcome Rolynn Anderson! Sarah: Given the story line, that is a truly wonderful gift! Tell us about your journey to write FEAR LAND. Rolynn: Trauma is the topic, the many shades of anxiety. Most of us experience a trauma or two in our lifetimes, suffering symptoms from mild depression and a few nightmares to full-blown post traumatic stress. My own response to a trauma interested me, but I also wanted to know more about PTSD and high suicide rates among soldiers. I wondered if some children were born anxious. Were all forms of trauma curable? Sarah: Wow, that’s fascinating, but it kind of sounds like a thesis, not a suspense novel. Rolynn: I know! We novel writers are researchers at heart. I like to learn and teach with each novel I write, as well. I think the reader will learn a lot about trauma in my novel, but I hope the plot makes it a page-turner. Sarah: Start with the hero, heroine, so we know we’re looking at a fiction piece. Rolynn: Yes, ma’am! My heroine, Tally Rosella, is a child psychiatrist who has finished one study of anxious kids in Washington State and will begin a second study at a big California college. Her new neighbor, Cole Messer, an Army Major who will teach ROTC at the college, is good at hiding the effects of combat trauma. He’s single-parenting a highly anxious boy; Cole wants to enroll his son into Tally’s new study. Sarah: Ah, a couple with conflict, but clearly Tally’s the strong one, here. Rolynn: Nope. 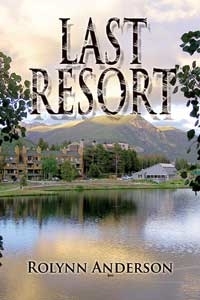 Now I introduce a modest paranormal feature. You see, Tally hears mind-rants from adults who have strong (usually negative) feelings toward her. These men and women might be perfectly polite, even flirty with her, but their minds are ranting nasty tunes. Sarah: Ooo, I wish I had that feature! That must make her a powerful psychiatrist. Rolynn: You’d think so. She couldn’t take on a patient who rants at her, because it interferes with her objectivity. That’s why she works with kids. Their minds don’t yell at her. Rolynn: I’ll avoid spoilers here. Bottom line: Tally encounters devious colleagues, spurring her on to ‘use’ her elementary mind-reading skill. Trouble is, evil people have a way of taking advantage of good folks, and soon, Tally, Cole and Cole’s son are in danger. Sarah: Yep! Now we’ve got the suspense. Where can we pick up this mystery? BTW, LIE CATCHERS comes out in re-release through Amazon Encore today! And for my other books and events, check out my website. Army Major Cole Messer, Tally’s new neighbor, won’t admit that trauma from combat tours in Afghanistan, destroyed his marriage and hampered his ability to lead. As a teacher of college ROTC and single parent, he’s focused on enrolling his highly anxious son in Tally’s study and getting back to active duty. Someone is dead set against Tally’s presence at the university, and blowback from her battles with co-workers put Cole and his son in jeopardy. Watch what happens when people struggling with shades of anxiety collide with corrupt, revengeful foes. Here’s today’s question: How astute are you at ‘mind reading?’ Whose mind would you like to read better…and why? Commenters are entered into a giveaway of an e-copy of FEAR LAND! How did funeral planning morph into crime-solving? Ask free-lance embalmer Trudy Solomon or Pete McDonald, a blind forensic investigator. They’re solving mysteries of the deceased for their pregnant boss, Jan Keller, while her journalist husband, Roman, is benched by a ten million dollar defamation suit. A dead client goes missing, and investigating his disappearance forces Trudy and Pete to confront their fiercely independent styles. When danger stalks them, will they blend brains, brawn and belief in one another? Congratulations to Calisa Rhose! 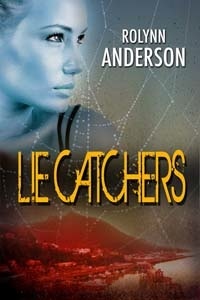 You’ve won a PDF of Rolynn Anderson’s LIE CATCHERS and a mini-notebook, waterproofed, manufactured by Rite in the Rain. Thanks to everyone who stopped over on Tuesday to welcome Rolynn and leave a comment! We really appreciate your time and interest. Please join us next Tuesday, May 6th, when Rachel Grant hosts Diana Miller. And on Wednesday, May 7th, our very own Krista Hall gives us a sneak peak at her DEBUT COVER REVEAL! Broken Places was the 2013 Golden Heart® Winner in Romantic Suspense. Make sure to come over and celebrate with us! Shelley Coriell and her new release THE BROKEN. Rolynn Anderson Solves a 1932 Crime! Who: Tlingit Indians, Norwegian immigrants. And one Chinese entrepreneur. Why: The Tlingits and Norwegians made a living as fishermen. Sing Lee, the Chinese entrepreneur, made money off the fishermen. 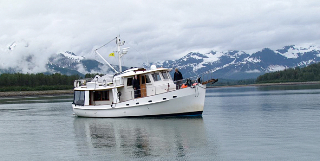 It’s 2011 and my husband and I are cruising from Washington State to Alaska on our trawler, Intrepid (see picture below). Never had we covered that distance, much less navigated such difficult stretches of water. We arrived in Petersburg, Alaska, all the strangeness of a scary virgin voyage replaced by our fascination for this charming fishing village. The town, located on the northern portion of Mitkof Island, was settled first by Tlingit and Haida tribes. Norwegians showed up in the early 1900′s. Chinese workers soon arrived to gut and package fish caught by the Norwegians. He was murdered in 1932 and to this day, the crime remains unsolved. I decided to solve the crime in LIE CATCHERS entwining it with a recent murder. Why? Because I wanted to juxtapose how a crime was handled in 1932 next to a murder managed by authorities in 2014. My other motivator: absolving the guilt carried by a whole town for never collaring the murderer of an important citizen. For fun, I stirred in a budding romance between a Petersburg free-lance writer (researching the Sing Lee cold case) and a Treasury agent from Fresno sent to the Alaska town to solve the recent murder. The result is LIE CATCHERS! I’m wondering if an historical event moved you to research and write a story. Comment on this concept and one of you, chosen at random will win a PDF of LIE CATCHERS (put your e-mail addy at the end of your comment). In addition, I’ll send you a mini-notebook, waterproofed, manufactured by Rite in the Rain. FADEOUT won a RONE award; LIE CATCHERS is a nominee for a RONE award! Thanks for explaining the story behind the story, Rolynn! Readers, please comment for a chance to win a copy of LIE CATCHERS! “Oh, baby.” He touched her cheek, wanting the color to return. 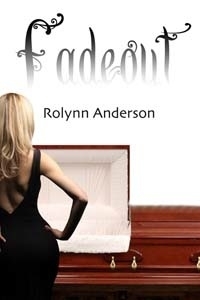 Today we welcome back author, Rolynn Anderson! 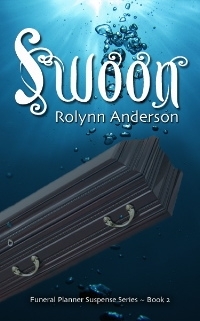 Her latest release, SWOON is the second book in her “Funeral Planner Suspense Series” featuring heroine, Jan Solvang. Besides creating a unique, tasteful ceremony that celebrates the departed, Jan suffers from syncope (abrupt fainting spells, usually brought on by stress or shock.) They only last a minute or two, but in that time she dreams snippets of murder and mayhem which sets her on a mission to find out what exactly happened to the dearly departed. Along for the adventure are a cast of amazingly quirky characters, including her black Scottish terrier, Elwood, who tracks shadows, senses villains and predicts her fainting spells. Add in her tumultuous relationship with super-hot Roman Keller and you’re caught up in a unique, fast-paced novel. Hello again, Rolynn! Both FADEOUT and SWOON are chalk-full of interesting characters. Jan’s father ‘The General’ is written with authenticity and authority. Did you grow up in a military family? I did! My father was an Army officer, dragging five kids and a harried wife through 27 moves, Maryland, Wisconsin, Georgia, Germany, Japan and Korea, to name a few. He loved serving, and luckily, we were resilient enough to manage the upheavals in our lives. I enjoy how Jan Solvang journals snippets of her obituary. Have you ever done that? Or know anyone who has? My father updated his obituary regularly, but the idea of using an obit as a goal-setting device was mine. I used this concept as a lesson plan for my high school students in English class, because many teenagers have such a vague notion of the future along with low ambitions. My students were attracted by the lesson because it was a tad ghoulish. My theme: “If you don’t know where you’re going, you’ll probably end up someplace else.” This is a lesson on specificity, too. I promised them (always the idealist!) the more detailed they made their goal-setting obit, the more likely they would get to their designed future. Pete is a forensic investigator who is legally blind. What is a forensic investigator and how difficult is it for you as a writer to have him help solve mysteries and murders blind? I learned about a blind forensic investigator in a New York Times feature and was boggled by the concept. Pete works freelance for private and public agencies. He studies all the evidence of a crime, giving a fresh ‘eye’ to it. His forte is interrogation of any and all parties involved; he’s known for ‘seeing’ what no one else observes. Pete is bright, funny and calm, a perfect foil for Jan. My editor is in love with Pete and wants me to give him his own book! How did you dream up the unnaturally perceptive Elwood? 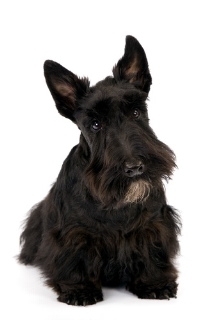 A friend of mine has a black Scottie named Charlie who actually DOES track shadows. What does he see, I asked myself…and that’s the path that led me to Elwood’s prescience. I read up on Mary Tyler Moore’s dog and other animals that are able to help their masters (Mary’s dog warns her when her blood sugar is low). I ended up giving my dog a growth arc; can you believe it? I’m also intrigued you added syncope as an issue Jan struggles with. What made you think of that? I’m a pantser as a writer, remember, so I make up a lot of stuff as I go along. 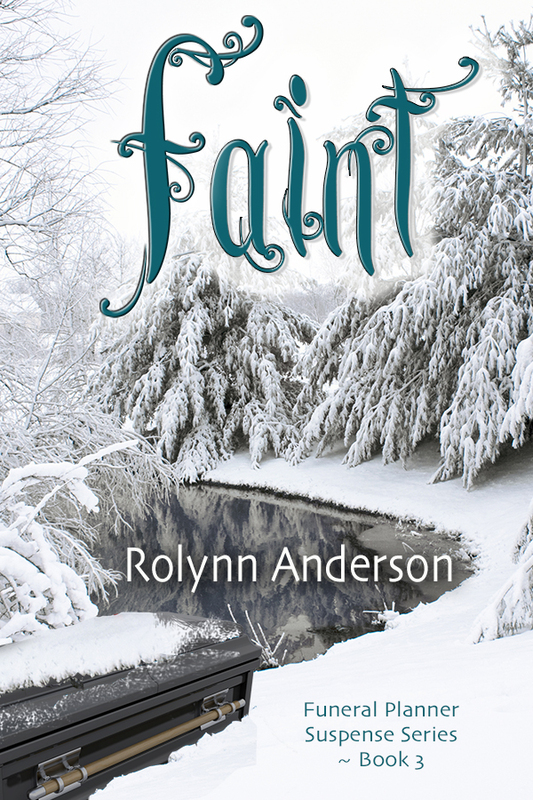 I needed to have Jan faint so Roman could touch her…connect with her quickly. I didn’t want to show her as weak or flighty, so I gave her the disease. Lots of research later, and meeting up a woman who has Syncope but still SCUBA dives…I used the disease as a challenge Jan had to overcome. Favorite place in the world to visit/live? The Tuscany region of Italy. (Sigh…Daniel Day-Lewis with long hair…I think you and I are twins, Rolynn. 🙂 ) What’s next for you? My editor has asked for the novel I’ve just completed, entitled LIE CATCHERS. The setting is Petersburg, Alaska, a real-life fishing village settled by Norwegians in the early 1900’s. My heroine, from Petersburg, and the hero, a U.S Treasury agent from Fresno, have two unsolved murders dogging them. One is real and occurred in 1932 (talk about a cold case) and the other is recent (made-up). My husband and I cruise on our trawler to Alaska in the summers…I can’t wait to tell the world about hot romance in cool, rainy Petersburg, Alaska! Remember to leave a comment for a chance to win a free copy of SWOON! Check back on Thursday for the winner’s name. Question of the Day: What’s on Your Bucket List? Congratulations, Morgan! Just click on the Contact Us page and let us know which address to send it to. A special thank you to everyone who stopped by to share their ‘obituary’. TOMORROW: In honor of Halloween we are posting a special blog! Join Carey Baldwin and the rest of us as we celebrate “FREAKY FRIDAY GHOSTS AND GIVEAWAYS! You’ll hear TRUE paranormal encounters from Lena Diaz, Sharon Wray, and Carey Baldwin! Be prepared to tell your best (real) ghost encounter or your favorite Halloween memory. Lots of prizes!